Ananth Kumar was an Indian politician of the Bharatiya Janata Party (BJP). Since 1996 he had represented the Bengaluru South constituency in the Lok Sabha. He died on 12th November 2018 due to Lung Cancer. 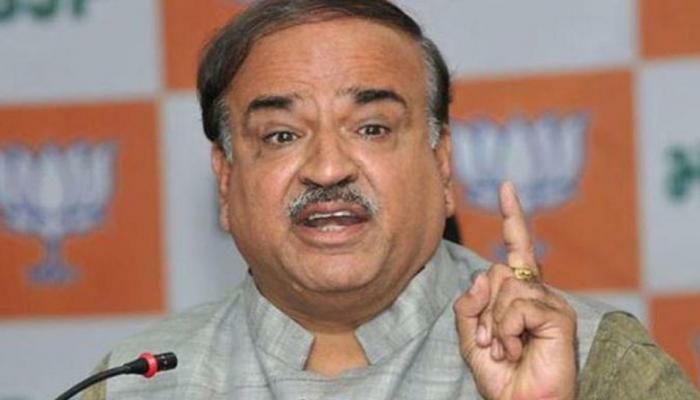 Checkout more about Ananth Kumar's life biography wiki age wife daughter death causes details here. 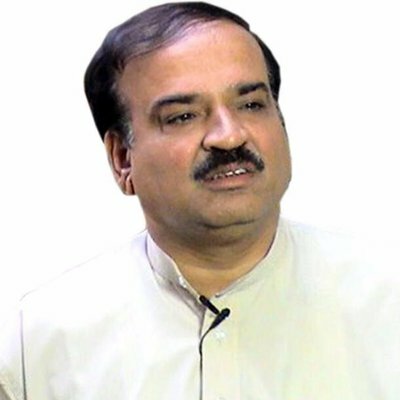 Ananth Kumar was born on 22nd July 1959 (before death he was 59 years old) to H. N. Narayan Sastry and Girija Shastry. He was born in to a Brahman family in Bangalore, Karnataka. He is married to Dr. Tejaswini and has two daughters name Aishwarya and Vijeta. On 12th November, 2018 he died after a battle with lung cancer and other related complications. He is survived by his wife, Dr. Tejaswini, and his two daughters, Aishwarya and Vijeta. 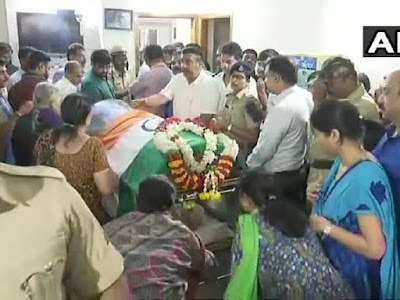 Karnataka government has declared a one-day holiday for today as a mark of respect for Kumar - schools and colleges will remain shut today. "Extremely saddened by the passing away of my valued colleague and friend, Shri Ananth Kumar Ji. He was a remarkable leader, who entered public life at a young age and went on to serve society with utmost diligence and compassion. He will always be remembered for his good work. ", PM Modi wrote. "Absolutely shocked and pained by the demise of very senior colleague and a friend Shri Anant Kumar ji. He was a seasoned parliamentarian who served the nation in several capacities. His passion and devotion for the welfare of people was commendable. My condolences to his family. ", Rajnath Singh wrote. He was brought up in his home town Bangalore and completed his early education from there. He completed his Bachelor of Arts (B.A) degree from KS Arts College, Hubli, Karnataka. He later did his bachelors in law (L.L.B) from JSS Law College, affiliated to Karnataka University. He was influenced by the Rashtriya Swayamsevak Sangh, Indian right wing organization started as a volunteer. He later joined BJP and was nominated as the State President of Bharatiya Janata Yuva Morcha. He was elected from Bengaluru South Lok Sabha constituency to the 11th Lok Sabha in 1996. He became the President of the Karnataka state unit of BJP in 2003 and led the state unit which became the single largest party in the Legislative Assembly and won the highest number of Lok Sabha seats in 2004 in Karnataka. On 26 May 2014, Ananth Kumar was appointed Minister of Chemicals and Fertilizers in the cabinet of the current Indian Prime Minister Shri Narendra Modi. He was holding charge for two key posts in the Modi cabinet, serving as the Union Minister of Chemicals and Fertilisers since May 2014 and had been appointed as Minister of Parliamentary Affairs in July 2016. By moving to 100% Neem Coated Urea, he created a revolution in fertilizers in India. Price reduction of 85% on cardiac stents, leading to savings of over 4,500/- Cr INR per year. Price reduction of 69% on Knee Implants, leading to savings of over INR 1,500 Cr. Focus on Affordable Quality Healthcare for all, by opening over 3600 Jan Aushadhi Kendras. Taking India on the way to becoming net exporter of fertilizers from currently being a net importer by 2022, by reviving 6 closed fertilizer plants with over 48,000 cr investment. Ananth Kumar with his wife Dr. Tejaswini opened Adamya Chetana Foundation to support the less privileged children by ensuring that they get food everyday in schools. This initiative by Adamya Chetana through Mid day meals program, has its focus on Anna-Akshara-Arogya.